They say “when it rains, it pours.” That’s a line I think Author and Christian community leader, Lysa TerKeurst, would nod in full agreement with. 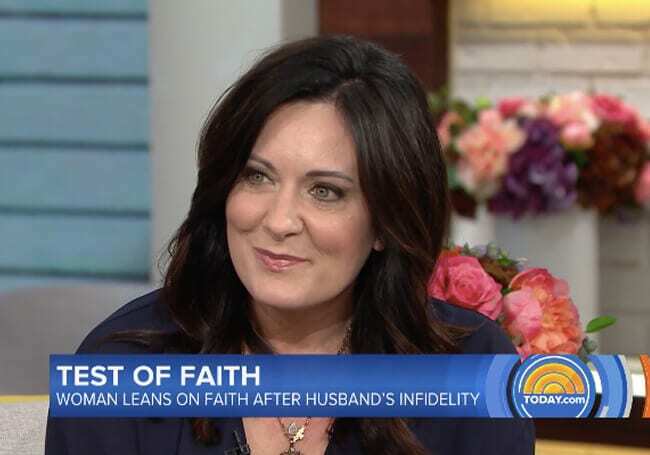 After the year she’s had in learning of her husband, Art TerKeurst’s infidelity and hidden addictions, only to be told just three months later that she has breast cancer, it’s a wonder how this mother of five and Christian media mogul has kept the faith. In an interview with The Today Show’s Jenna Bush Hager and Dylan Dreyer, TerKeurst opens up about the testing of her faith, and how she’s leaned into the the one constant in her life to get her through. In her new book, It’s Not Supposed to be This Way—Finding Unexpected Strength When Disappointment Leaves You Shattered, the Proverbs 31 Ministries founder finds the beautiful truth that is redemption even without complete restoration — something that has been pivotal in the re-building of her marriage. She tells Bush-Hager, “We are both doing the hard work of reconciliation, which means daily pursuing togetherness,” something TerKeurst says she’s extremely thankful for. “There’s a big difference between complete restoration and redemption,” she continues. “Redemption can be ours today even before the complete restoration and reconciliation has happened,” something she says her and Art are both pursuing in a spiritual and emotional sense, as well as a relational sense. TerKeurst says that although she couldn’t choose the circumstances of her story, she has been able to choose redemption. Without hesitation, Lysa TerKeurst takes on this question with PURE grace and Truth. Being led by the Holy spirit she explains that it takes just as much energy to be bitter as it does to be forgiving. TerKeurst says that for her, “globally forgiving,” or finding reconciliation with the facts has been the easy part. It’s making the choice to forgive on a daily basis that takes time and hard work. Lisa TerKeurst’s new book, It’s Not Supposed to be This Way—Finding Unexpected Strength When Disappointment Leaves You Shattered, is available now wherever books are sold. Next articleTo The Mom That’s Fighting for Your Life: I See You.